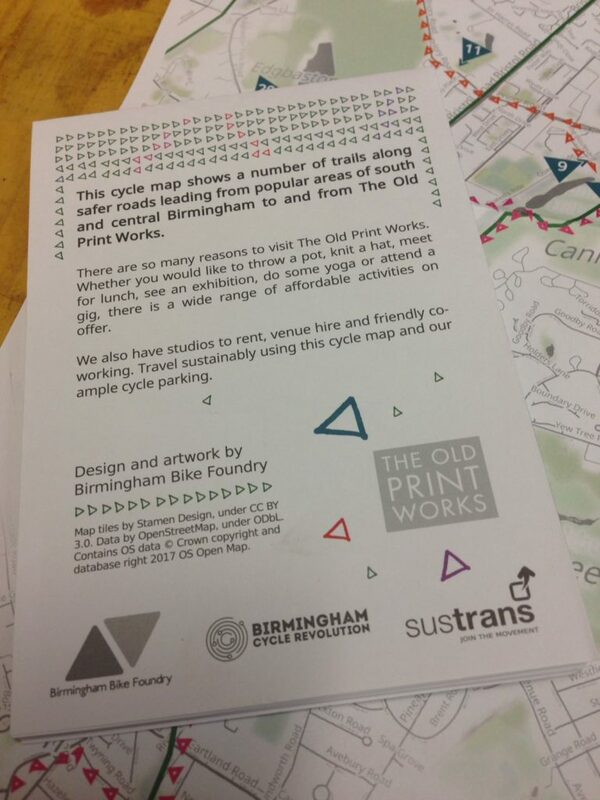 Last summer we were involved in designing and creating a cycle map of South Birmingham for the Old Print Works, a space for artist and makers in Balsall Heath. 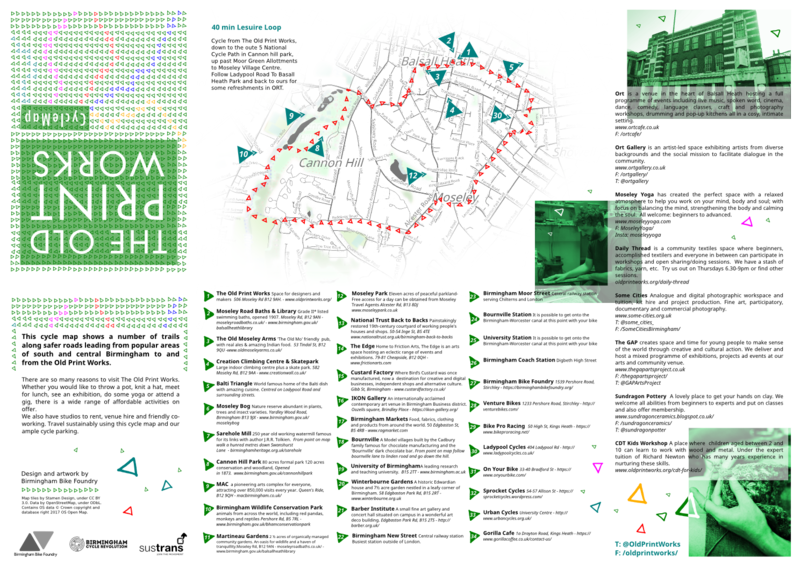 The idea behind the map was to highlight a number of safer cycling routes crossing from popular areas of the city and into the Old Print Works venue in Balsall Heath on the Moseley Road. 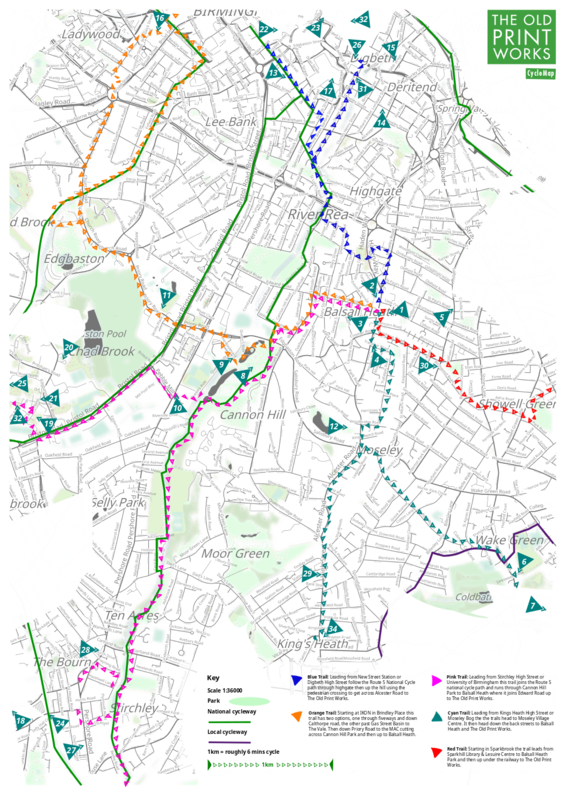 The map also points out a number of art spaces and galleries in the area and key transportation links and bike shops. The map also has a circular route on the other side which runs from the Old Print Works through Cannon Hill Park and back round through Moseley and back to the start. 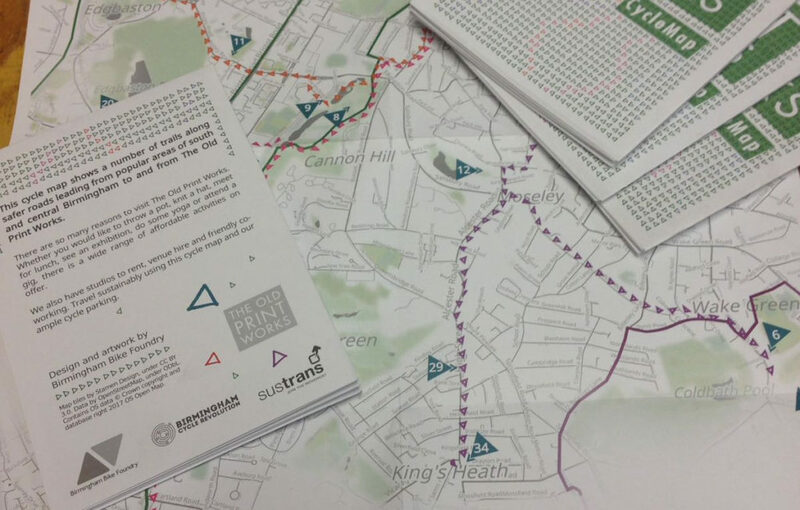 As keen cyclists we could see the value of having a new cycle map produced worked on the map. There used to be a very good one produced by the city council which is now out of stock, so this map fills a bit of a hole for us when we are advising customers on good routes in the area, which is really important to us as a shop that helps lots of people getting back involved in cycling or taking it up for the first time. Old Print works held a launch day to celebrate the launch of the map and the rest of their cycling facilities in the summer which you can read about here. We’re lucky to have a couple of designers working in the shop who worked on the map, and are really glad to see that it’s been printed, distributed and found it’s way across the city. Feel free to get in touch if you have a similar project you’d like some help with, we are happy to point you in the direction of good designers or consider taking it on board ourselves.